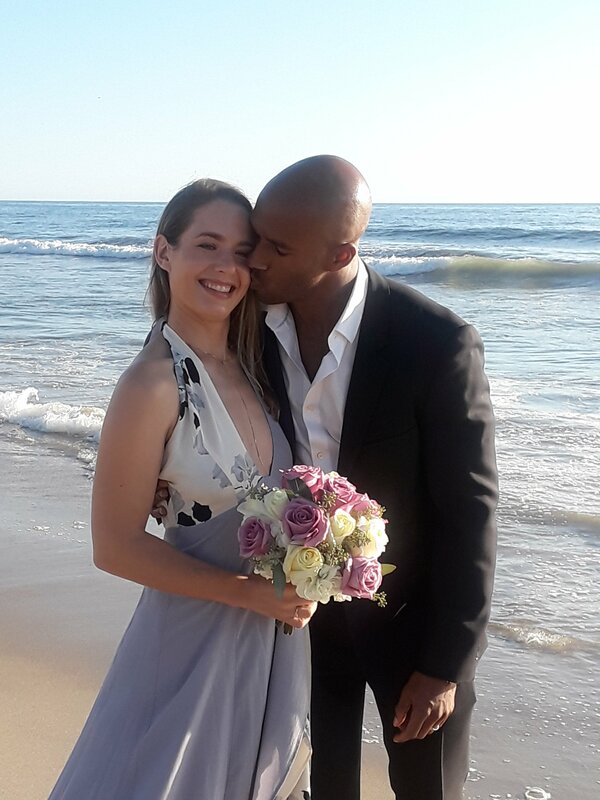 Julius and Adeela chose to say their “I do’s” and exchange personal vows in an intimate beach elopement on the bluffs overlooking El Pescador State Beach in Malibu, CA. Their only guests were their five year old son and Adeela’s cousin. Initially, Adeela wanted to include a unity candle lighting but I advised her against it, due to the possibility of high winds, and suggested a sand blending instead. Good thing too, because not only were the winds extremely high but there were “No Fire” signs posted throughout the area. After the marriage, the newlyweds set off to Atlanta, GA to become partners in their own business consulting firm. Planning a destination elopement ? Contact me via www.officiantlady.com I will be happy to write and officiate your perfect beach elopement ceremony. The couple met seven years ago at the Empire State Building in New York City. They’ve spent the past seven years travelling the world together and have visited many exotic locales such as Chile, Italy, Japan. Thailand and France. Now they have decided to put down roots and start a family in Los Angeles. Both sets of parents flew in to witness the marriage of their children. Jasmine’ s parents flew in from Colorado and Reggie’s flew in from North Carolina. It was the first time that the parents had met. Jasmine and Reggie are planning a lavish destination wedding in Mexico for Apri 2018. California has hundreds of miles of the most beautiful, sandy beaches in the world. That’s why couples come from near and far to elope where the sand meets the Pacific Ocean. 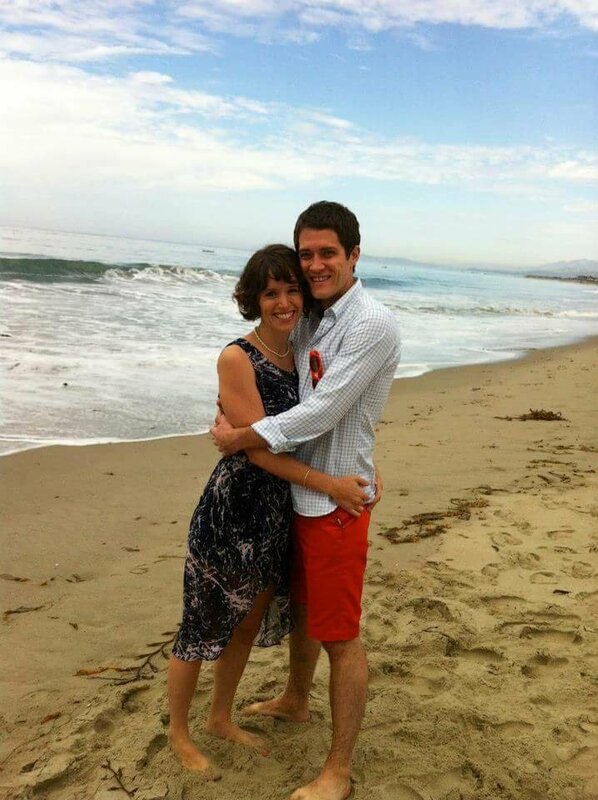 When reality TV producer Tony Brown and his bride Debbie Joles (shown above) of the Los Angeles area decided to elope, they chose the Muscle Beach area of Santa Monica Beach. I wrote a short and sweet ceremony for them that incorporated the poem “A Gift From The Sea” by Anne Morrow Lindbergh. At the end of the ceremony, onlookers cheered as Tony kissed his bride. 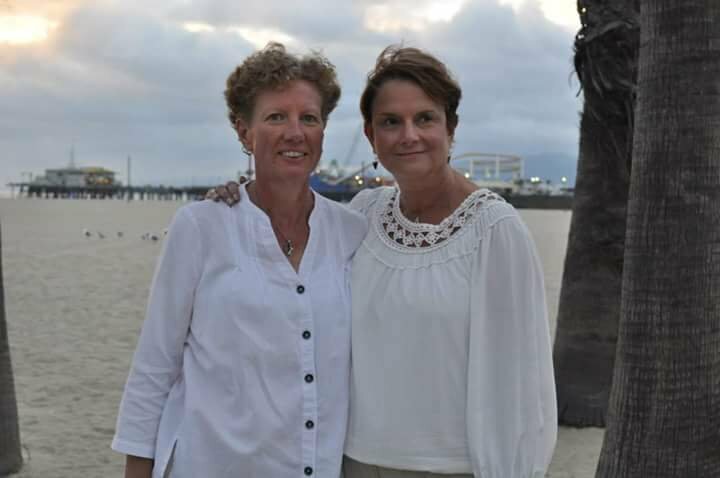 When marriage equality became the law of the land, Tammy M. of Tennessee contacted me about officiating her elopement to her partner Ramona. 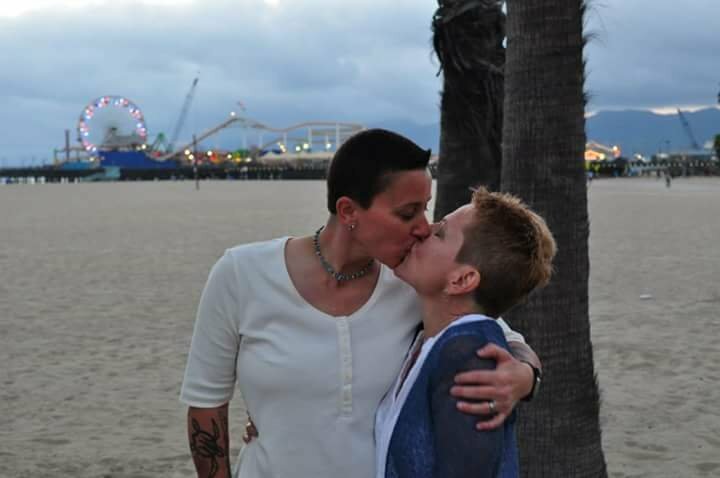 They and fellow couple Audra and Cathy wanted to come to Los Angeles to elope on the beach. They were all married in back to back ceremonies near the Santa Monica Pier. 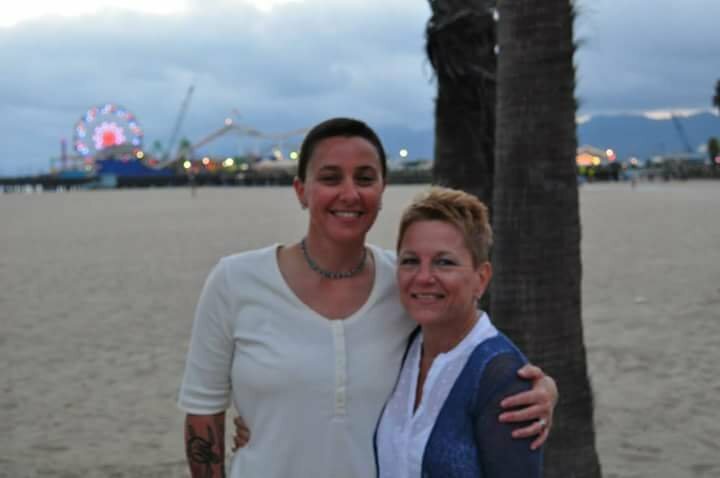 Audra and Cathy, Santa Monica Beach. Photo by Connie Jones-Stewnard. 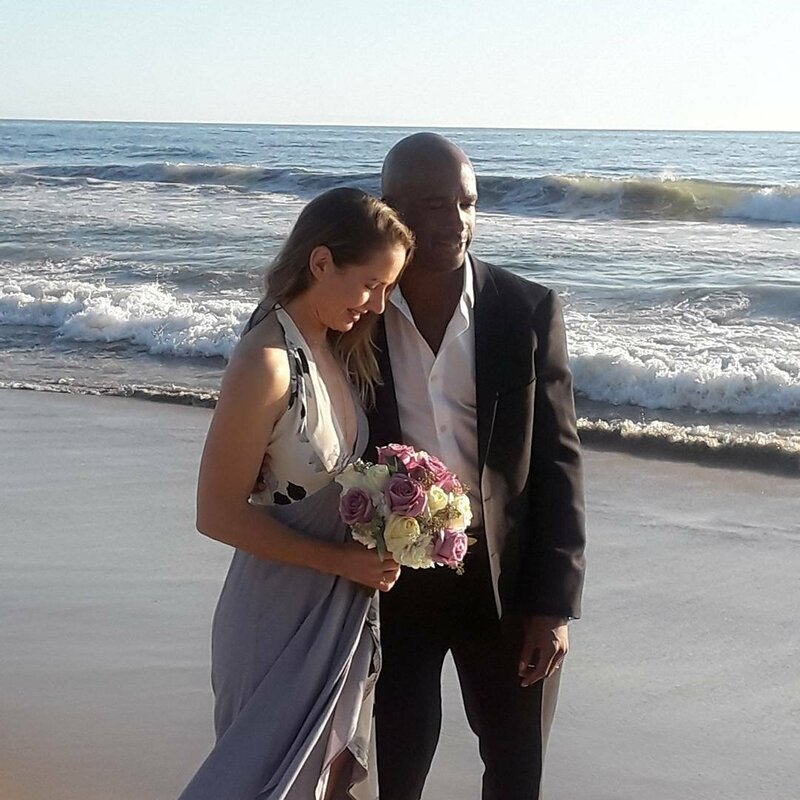 Indie rock crooner Ariel Rubin, of Ariel + The Undertow, and her fiance Steve Davis chose Carpinteria State Beach, near Santa Barbara, as the site for their destination elopement. 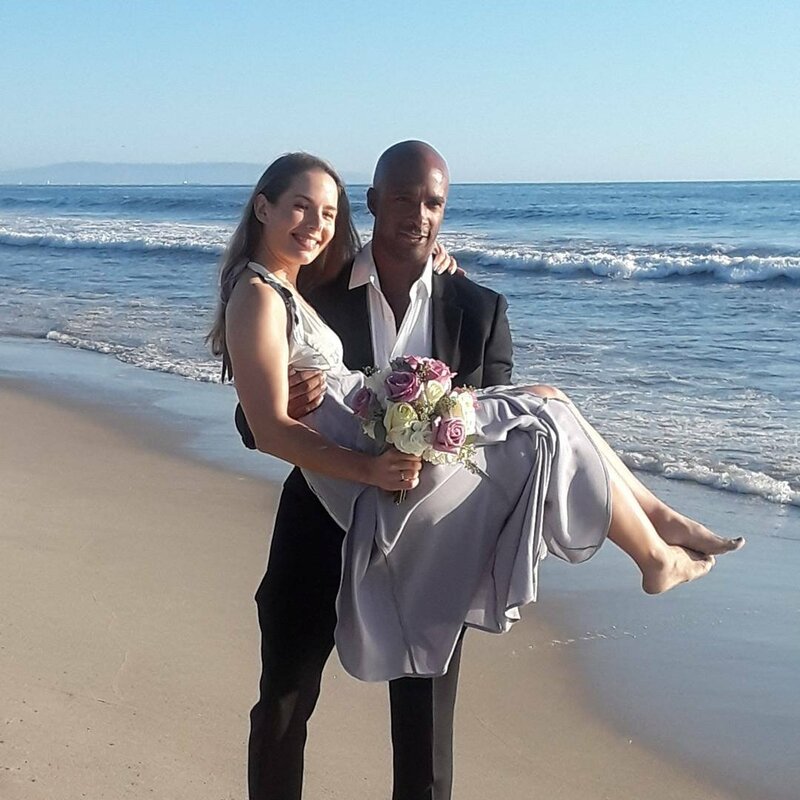 They traveled from the Boston, MA area to combine getting married with seeing the sights of California. They considered many sites, including Joshua Tree National Park before deciding on a beach setting. 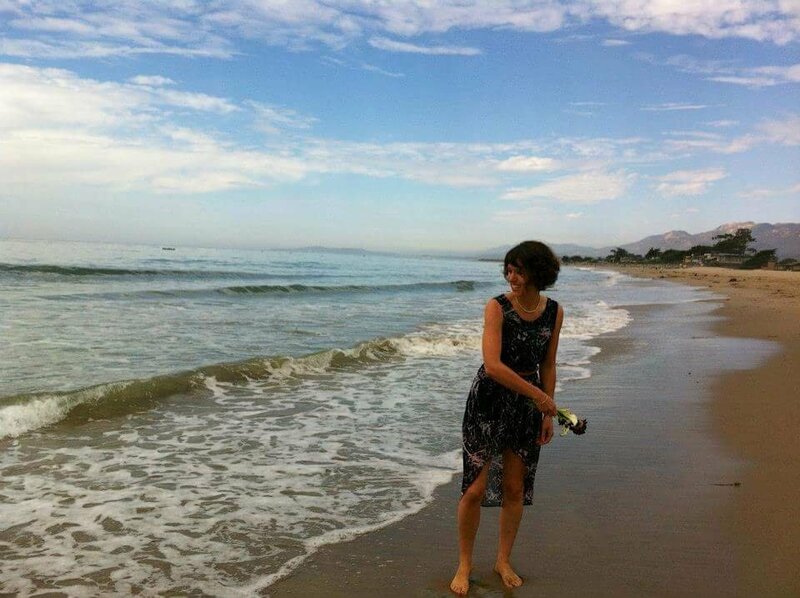 Ariel offering her bouquet to the ocean.. Photographer Barbara Morgan. Couples elope for varied reasons. Some choose to elope initially and have a grander affair at a later date. However, many couples today are choosing to elope as an alternative to the hustle, bustle, stress and expense of a traditional wedding. An elopement only requires three components; the couple, the officiant and the marriage license. Obtaining a California marriage license is easy. There is no waiting period and the process can be started online. The State of California even offers a confidential license that doesn’t require the signature of a witness to your marriage. However be advised that the confidential license is only valid for marriages in the county in which it is issued. * If eloping is right for you, contact me and let’s discuss a ceremony built for two. *For a list of links to offices that issue California marriage licenses, please visit my wedding officiant website, http://www.weddingmuselosangeles.com, and click on the the Marriage License Information tab.